For Christmas 2006, Jade got a pink Barbie bike. It was adorable and pink with training wheels. 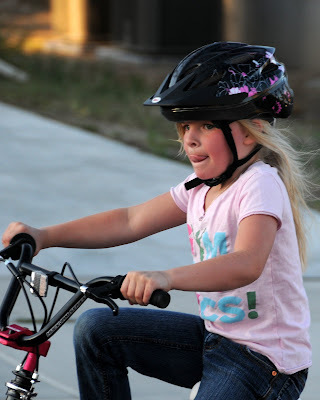 While we lived in my grandparent's condo, she learned how to ride her bike, but she had a really good little spill and it scared her a little. So she never got very excited about it. 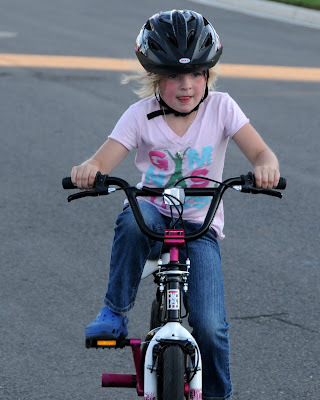 Last year, we thought we had her riding a bike without training wheels. But, we were wrong. It wasn't until this year, when Scott started teaching Ivy and gave Jade a ride on his bike, that she finally got excited about it. 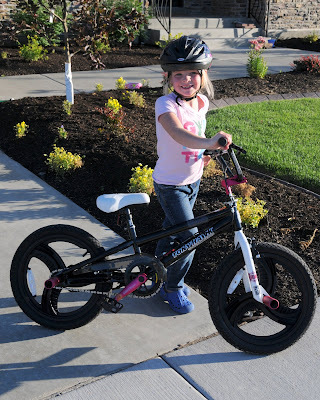 We needed to get her a little bit bigger bike and Scott did not want to get her a "girly" bike. He began his quest at Target, then Walmart, then REI and Sports Authority. Finally at ToysRUs, he found this adorable bike. It is a Tony Hawk Nancy BMX bike in Hot Pink and Black. It's perfect and Jade loves it. On Monday, she was hesitant to take it for a ride. She had Scott following her on the other scooter until she got more comfortable. Now, she's loving it and taking corners like a pro. 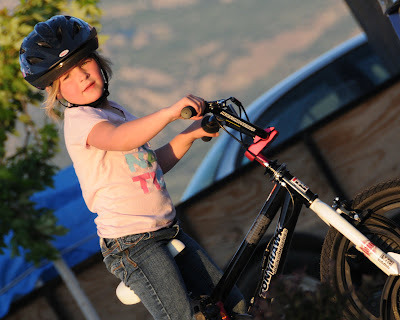 (Okay- so not like a pro, but at least more like an experienced 6 year old rider). Tuesday she rode it whenever she got a chance. 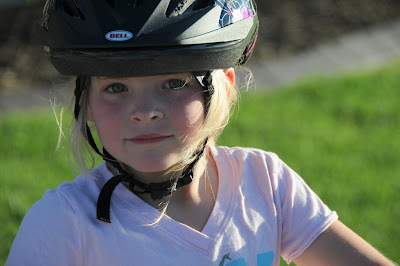 When you ask her about riding her bike now, she beams with pride and the grin of a girl who's found the love of biking.